Plymothian Transit: Development or Destruction? To see such a fine distinctive building reduced to a pile of rubble is a real shame to say the least. I think this fantastic shot by Dom Moore portrays the sense of doom and foreboding. Its hard to believe that nothing could have been done to save this building in some form or another. There is an excellent comment on the news item above by Sharon Jones which is worth repeating here as I have to agree with everything she says. Why does every 'redevelopment' consist of wiping from the face of the earth anything that might remind people what Millbay was for, originally?. This red brick building was a quirky shape that should have been renovated and INCLUDED into the new designs. It was unique for its' shape alone. On one side it was almost curved, and as a whole, looked triangular. I have a lot of photos of this place, sadly, after it had been left to rot. When you look at the architecture of every new building in Plymouth, it seems to consist of metal, glass and wood cladding that absorbs water (on the cut ends), and is so mundane it looks dreadful. Where is the individuality and character of local buildings?. The new school at Honicknowle looks no different to the new housing estate at Devonport. That green and brown block of flats at Millbay, much as the developers like to call them 'Luxury Apartment Blocks', sticks out like a sore thumb. I was recently in Portsmouth, and their new developments look no different to Plymouth, same wood, metal, and wood cladding. 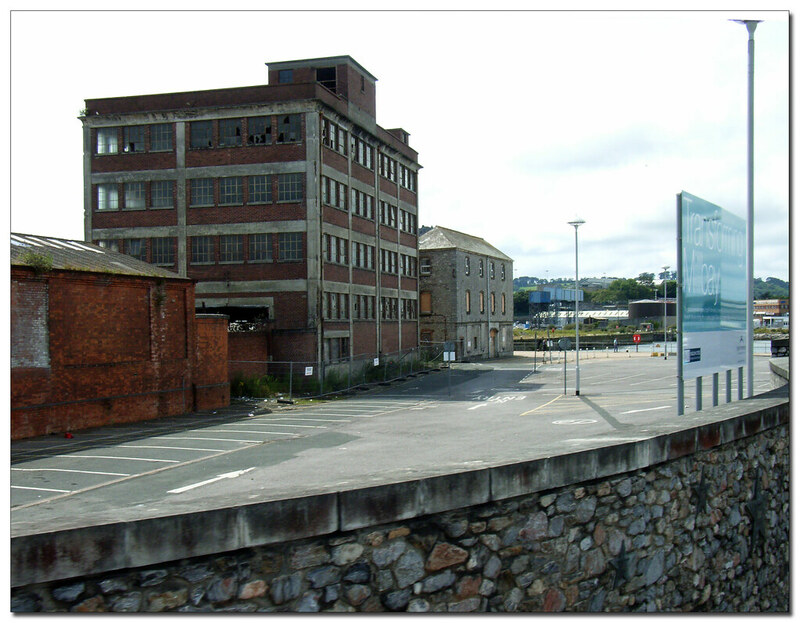 I love Plymouth, but where are the designer's with the vision to INCLUDE the old buildings, instead of destroying them. What next, the old Habitat building in Colin Campbell Court flattened? in the name of progress?. It makes you so cross, that a city with our history, has so little visual history left, that we're becoming a clone of every city in the country. Manchester rebuilt after the war using modern materials but reproducing the old designs,and incorporating the old with the new, and it has become a city with a soul and vision. Where's Plymouth's soul gone?